Posted February 25th, 2019 by Berkley CP & filed under Articles. In today’s commercial construction environment, risk and reward are deeply interconnected. 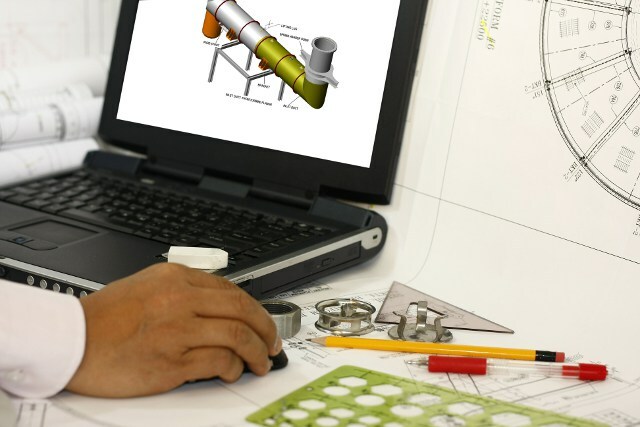 This is especially true in increasingly popular design-build scenarios, which virtually eliminate the steadfast boundary of responsibilities that traditionally existed between contractors, architects and other building professionals. As a result, the efforts of general contractors have intertwined with design professionals so deeply that their consultative advice alone could lead to extremely complex, costly and timely liability issues when problems arise. Many project owners demand evidence of professional liability insurance from both the design and construction teams, while others even purchase project-specific coverages to insure the entire design team from exposures. In legalese, the goal of these policies is to indemnify the owner against the damages, claims and expenses incurred as a result of the negligent acts, and errors & omissions arising from the design and construction team’s services. Two coverages address this exposure: a project-specific policy, which insures specified design professionals on a primary basis in replacement of the practice insurance; and a protective E&O policy, which protects owners or design-builders against design professional claims in excess of the practice coverage. Both types of policies usually include retroactive dates, course of construction coverage and extended reporting periods for filing latent design claims. Significant limitations exist under the project-specific policy. If recovery is isolated to firms specifically named on the policy, it may preclude owners or design-builders from accessing the design firm’s or contractors’ practice professional liability policy due to cross-liability exclusions. The reality is that the owner or design-builder could wind up paying for two policies with access to only one with limited coverage. There are numerous recorded instances where the full limits of a project-specific policy were exhausted solely by defense costs without the owner or design-builder receiving any financial sum in restitution. The premiums for project-specific policies are often 10 times more expensive than a standalone practice policy. Since owners and design-builders are not insured under project-specific policies, another concern is that the carrier can negotiate virtually any claim, absent bad faith. Furthermore, if the project-specific policy has a “unified defense approach,” every insured designer must abide by the carrier’s defense, even if only one litigant contests a negligence claim. In many cases, it’s only after years of litigation that owners or design-builders recognize these policy flaws and must settle for pennies on the dollar. In contrast, depending on the underwriting criteria and terms and conditions, protective E&O can cost approximately one-third of a project-specific policy, while insuring against a broad range of liabilities that do not fall under the direct supervision of the prime architect. This can include delegated design liability, professional services performed by the contractor or construction manager, specifically retained consultants outside the prime designer, and other negotiated professional activities particular to the project. The main differentiator between project-specific policies and protective E&O is naming the owner or design-builder as the named insured since they suffer the most from a loss. With a protective E&O policy, 95% of all payments go toward the settlement of owner or design-builder claims, enabling those entities to recover their losses from a policy with limits that are both reserved and protected. Another advantage of protective E&O is that the indemnity limits are fully reserved to pay for claims. It’s impossible to hide behind indefensible positions because the protective insurer must exercise good faith. With such impetus, the protective carrier is also positioned as a strong advocate of the insured and incentivized with procuring prompt and effective claim settlements. In short, structuring a project-specific policy incorrectly can create a myriad of potential coverage issues. But many new entrants to the market are repeating past mistakes by insuring nearly every entity under a project-specific policy. In order to address the limitations, some enable cross-party claims, while others still name either the project owner or the design-builders as the insured rather than protecting the best interests of both parties. Like all insurance, the policy’s value lies in effective claims resolution. It only takes one catastrophic event to ruin a company. Asking questions about an insurance carrier’s claims philosophy and the claims team’s experience is an important part of analysis when choosing these coverages. Raymond F.H. Bustamante is executive vice president of Berkley Construction Professional, a Berkley Company. Posted February 11th, 2019 by Berkley CP & filed under Articles. Posted July 10th, 2018 by Berkley CP & filed under Articles, Latest News. The rules of engagement have changed drastically. In recent years, the construction industry has moved rapidly from what were clearly defined stand-alone roles of design-bid-build project delivery methods to the faster-paced design/build, public-private partnership (P3) and integrated project delivery (IPD) models. 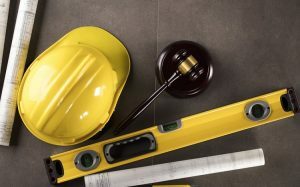 Along with this shift came a blurring of responsibilities for design and construction services and similar uncertainty about ensuing liability that occurs when things go wrong. Posted August 30th, 2017 by Berkley CP & filed under Articles, Latest News. The commercial construction industry entered 2017 building on a steady stream of growth over the past years. Earlier this year, ConstructConnect predicted a 6.3 percent increase in total construction for 2017 with another 7.2 percent increase in spending for 2018. 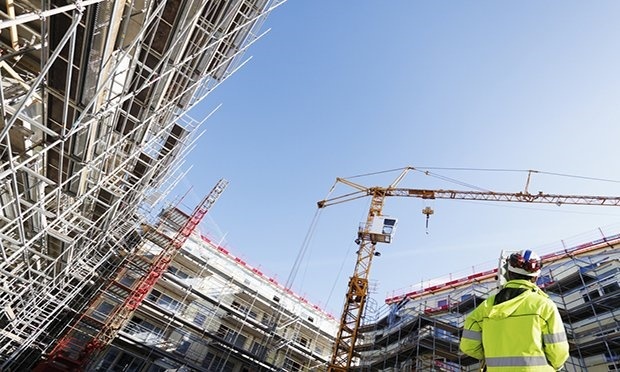 Most recently, these expectations were amended slightly when ConstructConnect announced U.S. construction starts were expected to grow by 4.5 percent in 2017 and about 6 percent in 2018. In comparison, the AIA Consensus Construction Forecast projected 3.5 to 4.0 percent of growth for the remainder of 2017 and 2018. These changes were based on several factors ranging from a slowing commercial/industrial marketplace to the shortage of qualified building professionals. Unfortunately, the recent recession had many dire effects including the loss of approximately two million skilled laborers, who left the industry to find work elsewhere and have yet to return. This trend has also combined with an aging workforce and the entry of fewer young tradesmen into the field to replenish the project pool for seasoned workers ranging from electricians, plumbers and welders to masons, roofers and carpenters. Few general contractors can successfully complete projects on time and within budget without the help of reliable and well-schooled subcontractors. The problem is finding reliable help. Although price is always a consideration, it should never be the main requisite for hiring subcontracting support. Always be wary of the lowest bid. Sometimes cheap means little else, especially when it accompanies subpar skill sets and a lack of precision and timeliness. Another challenge involves the influence of owners, who have been known to “strongly suggest” the hiring of associates, former colleagues and even friends and relatives. Due diligence should never be forsaken or undetermined to win a bid or gain favor. The ultimate decision for subcontracting help should be left to those with the responsibility for the final outcome unless the contract is otherwise worded. Never dismiss the costliness of errors and omissions. They can make all the difference between profitability and years of delays and litigation. It is also important to take a good, hard look at the talent and experience of subcontractors before the work begins. This is a highly competitive era, where far too many professionals are bidding on projects beyond their expertise. Before taking on extra help, it is imperative to check references and learn more about the work they perform. Areas of concern should be cited and addressed. The jobsite is no place for surprises. In addition, subcontracting is a business like any other. Integrity in operations can also say a lot about dependability and loyalty. Are they solvent financially or involved in any form of litigation? Are they positioned to become a future competitor? What is their workload? Will they see a project through to its completion or disappear somewhere before its end? Even if they have worked with a contractor in the past, are they the same organization capable of delivering on the general contractor’s behalf? On the contractual side, are they willing to live up to the contractual undertakings agreed to by the firm? Few situations are worse than the special dispensation of services that do not match obligations. Furthermore, make sure the proper insurance is in place and adequately worded to meet the needs of the job. Risk management is not a luxury. It is a necessity. Contractors Professional Liability (CPrL) can be written with a broadened and/or clarified definition of covered professional services to insure against the errors or omissions of subcontractors. 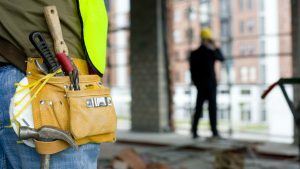 This includes Contractors Protective Indemnity (CPI) coverage terms, which is designed to protect general contractors from the damages caused by subcontracted design and construction professionals as well as the damages that sit in excess of the design professional’s own liability insurance policy limits. The same holds true for owners who would like to expand their coverages with Protective Professional Indemnity, Protective Contractor’s Pollution and Third-Party Claim Defense and Indemnity terms to cover the challenges caused by vendors hired by the contracted general contractor. Going forward, never underestimate the potential harm and disruptions posed by under-skilled, unreliable and under-insured subcontracting help. A general contractor’s reputation and bottom line can be at risk with each job. Owners have the right to expect quality and diligence along with the service clearly outlined in mutually agreed upon contracts. So, always remember that reputation and profit margin are on the line with each new hiring decision. Raymond F.H. Bustamante is Executive Vice President of Berkley Construction Professional, a Berkley Company. W. R. Berkley Corporation is an insurance holding company that is among the largest commercial lines writers in the United States. Bustamante can be reached at 973-600-0926. This article was originally published online in Construction Executive Risk Management.